Greetings from the Bone Doctor. God bless all who come here. I want to thank the 2,280 visitors to our site this year. By popular demand, CoyoteNET Digital System Solutions now has a website where you can go to find out about the world's finest custom built computers for home and business. We are proud to host the designers of our website on their very own site! The site is under heavy construction so stay tuned as the geeks flesh it out. Think big. Think CoyoteNET Digital System Solutions: High-End Computers for High-End Users. I want to thank the 2,200 visitors to our site this year. I want to thank the 2,065 visitors to our site this year. the combinations on a WurliTzer Theatre Pipe Organ. Today, Jim Henry posted a wonderful desertation and set of pictures about the Combination Action on a WurliTzer Theatre Pipe Organ at TOSF on Yahoo! We decided that, since it was such a wealth of information, we would include it on our How is a Church Pipe Organ different from a Theatre Pipe Organ? page in the Walnut Hill Virtual Theatre Pipe Organ section. Thanks, Jim, for the education and taking the time to share your knowledge with us! I want to thank the 1,974 visitors to our site this year. Vern Jones is inducted into the Wall of Fame! This evening, we added Vern Jones to the Wall of Fame. Vern owns a company known as Sound Research, which specializes in MIDI encoding and decoding equipment. He builds retrofit kits for electronic organs. These kits are economical, yet well made. Visit his site to learn more by clicking on the banner above. We are glad to have Vern Jones on the Wall of Fame! I want to thank the 1,895 visitors to our site this year. Walnut Hill Gets A New Page! Today, we added the Wall of Fame on its own page. There are now seventy-one pages on the site so far. This page is dedicated to all the Mighty MidiTzer users who have stepped forward into the lime light. I want to thank the 1,875 visitors to our site this year. Walnut Hill Gets A New Look! 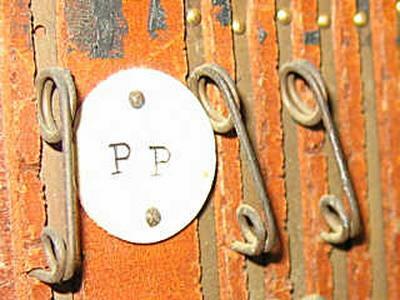 Today we began the process of adding custom title banners to the tops of each page. There are seventy pages on the site so far. This will take us some time to accomplish. We want to make the graphics on our site a bit nicer. While we are doing this, we will be looking for small flaws we have missed and fixing them all. Let us know what you think about the new look. We are open to constructive feedback from our loyal patrons. I want to thank the 1,794 visitors to our site this year. Russ Ashworth has sent in more pictures of his Mighty MidiTzer setup showing the revisions he has made that improve the playability of the system. Great job, Russ! I want to thank the 1,728 visitors to our site this year. The monthly average stands at approximately 600 visitors, down from 700 on this date last month. We are expecting more folks to stop by as we add new content. We thank all who come here and welcome you to Walnut Hill. From: Jim Henry at TOSF on Yahoo! The next version of the MidiTzer is coming along very nicely thanks to wonderful programming work being done by Crew Glazjev. I expect that it will be released for beta testing in a few weeks. Documentation is the largest task left before that happens. Sign up for the Newsletter even if you aren't interested in being a beta tester because that is probably where the announcements regarding the 0.40 version will be made. My prediction is that there won't be many more releases until we jump to MidiTzer 1.0. MidiTzer 0.40 has some very nice new features and it is well organized to support completion of everything needed to completely emulate the 2/10 Mighty WurliTzer Style 216 Theatre Pipe Organ. You should sign up for the Newsletter today because you don't get back issues when you subscribe. If you miss something that is announced in the Newsletter, such as MidiTzer 0.31, you can't catch up by subscribing after the fact. Don't worry about your email being sold. We don't do that. Your email address isn't worth enough to make that worthwhile ;-) And don't worry about your mailbox being filled up with Newsletters. I think there have only been two in six months. We want to let Jim Henry know that Walnut Hill Productions will gladly be among the beta testers. Jim, you have our vote. Sign us up. We will post the results here at the site on the Mighty MidiTzer Project's forthcoming New Music Page. Thanks, Jim. Keep up the great work! I want to thank the 1,640 visitors to our site this year. We have just indicted Russ Ashworth to the Walnut Hill Wall of Fame. I want to thank the 1,600 visitors to our site this year. We just posted the Walnut Hill Wall of Fame in the MidiTzer Users section. There is more to come as more artists step forward into the lime light. Stay tuned and enjoy! I want to thank the 1,550 visitors to our site this year. We are still working on the March Feature. There is more to come during this month. I want to thank the 1,419 visitors to our site this year. We are averaging over 700 visits per month so far. The March Feature is up! 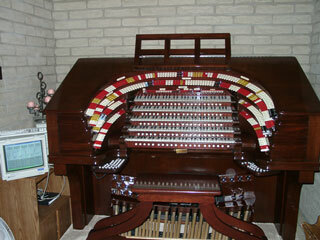 The featured organ for the month of March is now up. This month, we get to see the 5/36 Mighty WurliTzer Theatre Pipe Organ installed at the Brown Residence in Phoenix, Arizona. It is one of only five consoles built by the North Tanawanda, New York based firm that had five manuals.